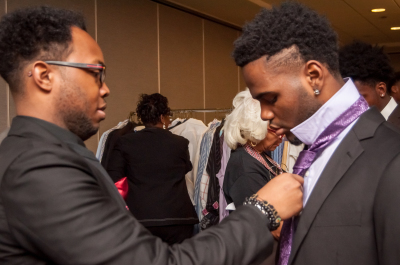 Project Gentlemen helps clothe young men graduating high school and men re-entering the workforce. Through the support of retailers and private donors we will provide 1,000 suits, sport coats, dress shirts, neck ties and gently worn shoes toward this effort. Polka Dot Socks is a 10-session curriculum that teaches young men ages 14-21 life skills including the importance of having good self-esteem, what it means to have confidence, self-respect and the power of their image. This program is offered twice a year . Tis the Season is our Annual Christmas Give-A-Way. This effort meets the needs of less fortunate families in the City of Chicago. Deliveries of food, clothes and toys are made on Chrismas Eve by the young men who are part of our organization. 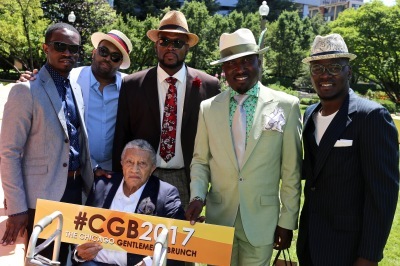 The Chicago Gentlemen’s Brunch is an afternoon of elegance for the sophisticated male. Each year socially conscious men gather in an exclusive venue to break bread and have candid conversations about health & wellness, physical fitness, male grooming and how to give back. The mission of I Am A Gentleman, Inc. is to engage, enrich and empower young men for successful careers, healthy lifestyles, marketable skills and well-balanced relationships. The vision of I Am A Gentleman, Inc. is to provide personal development classes and enrichment workshops embracing etiquette and statesmanship for young adult and adult men. We will provide guidance by our mentor opportunities, health and wellness workshops, career and advanced education leads, volunteer projects and various positive community initiatives throughout the year. It is our commitment to improve personal & professional relationships and overall emotional, physical and spiritual health. © 2018 I AM A GENTLEMAN, INC.